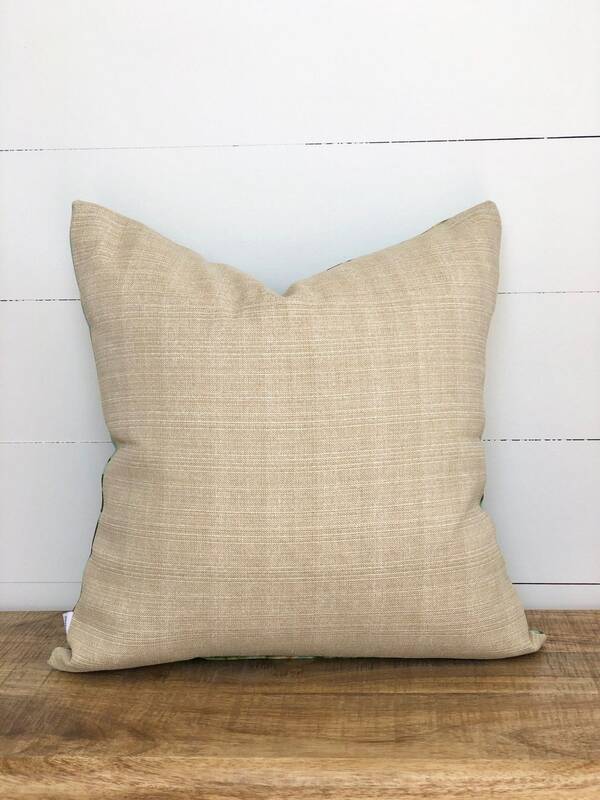 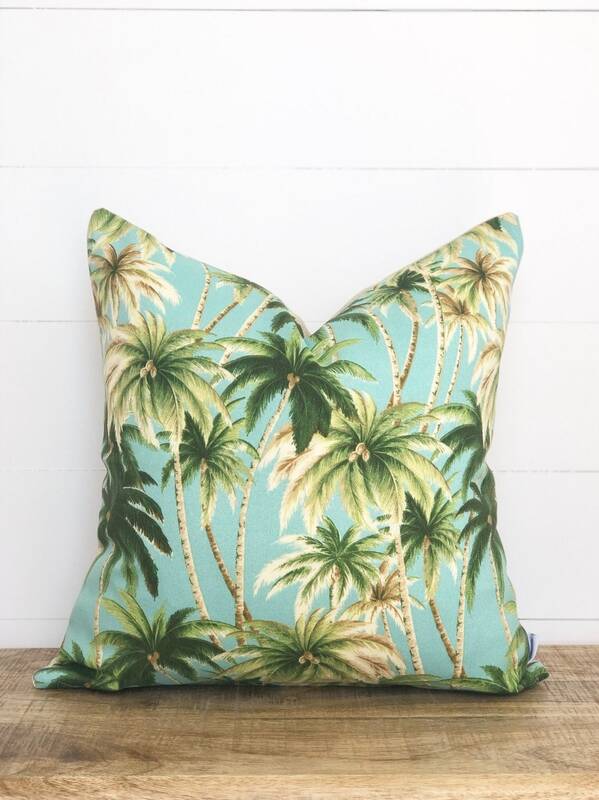 We are Californian Bungalow dreaming over these stunning indoor/outdoor cushion covers! 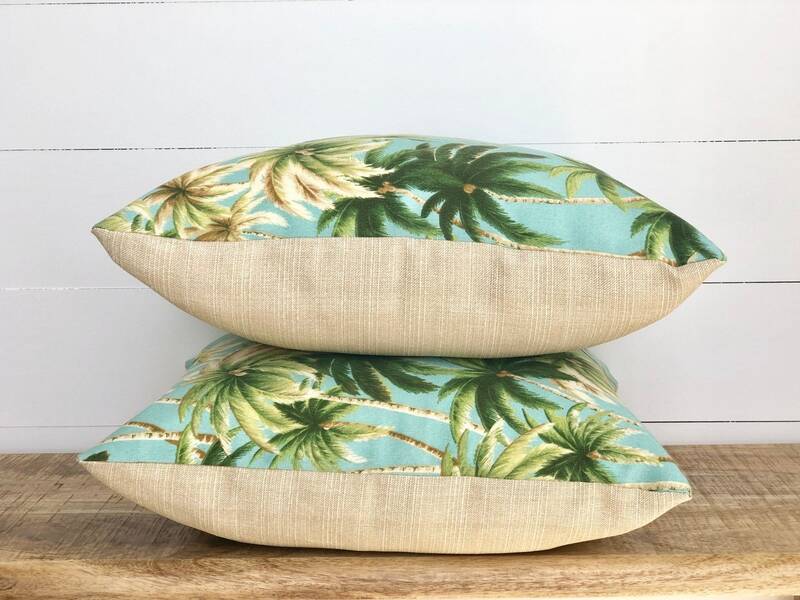 Cali Palm trees featured on the Front in designer Tommy Bahama fabric and with block neutral backing in colour coconut also by designer Tommy Bahama. 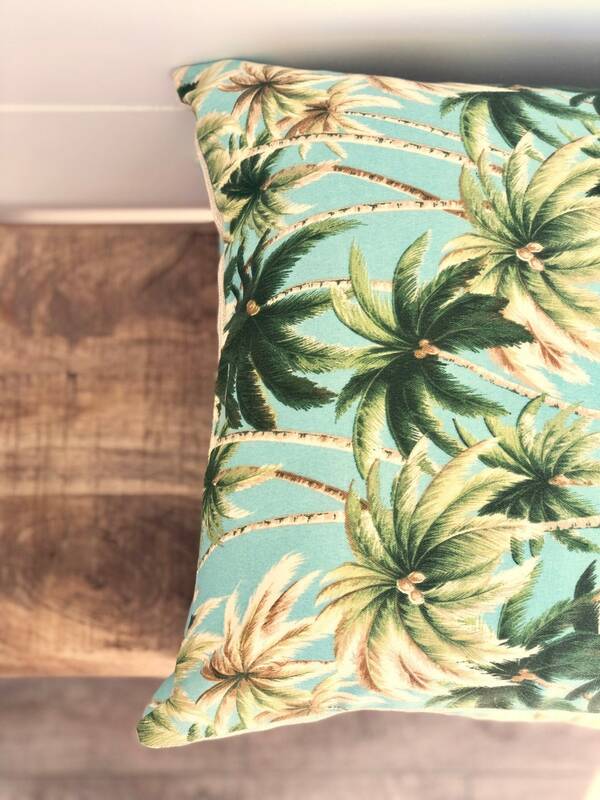 The most striking print to liven up your outdoor or patio area. 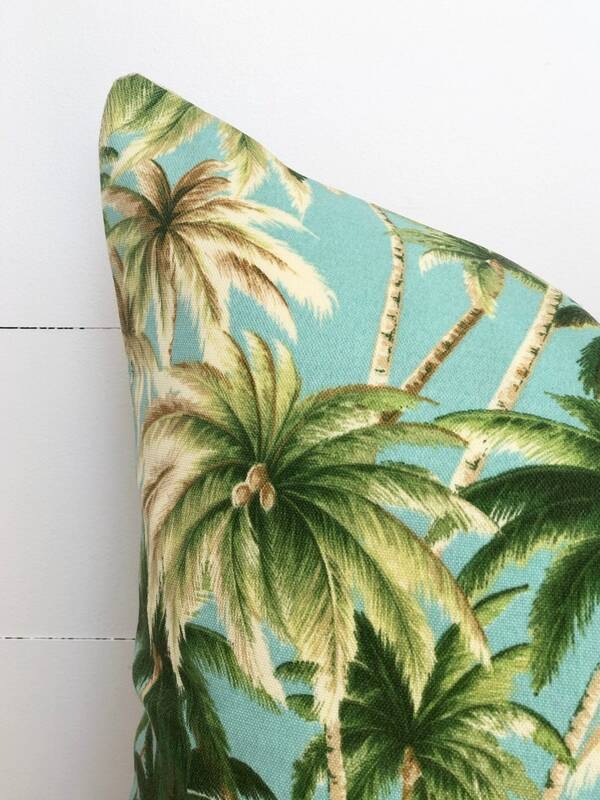 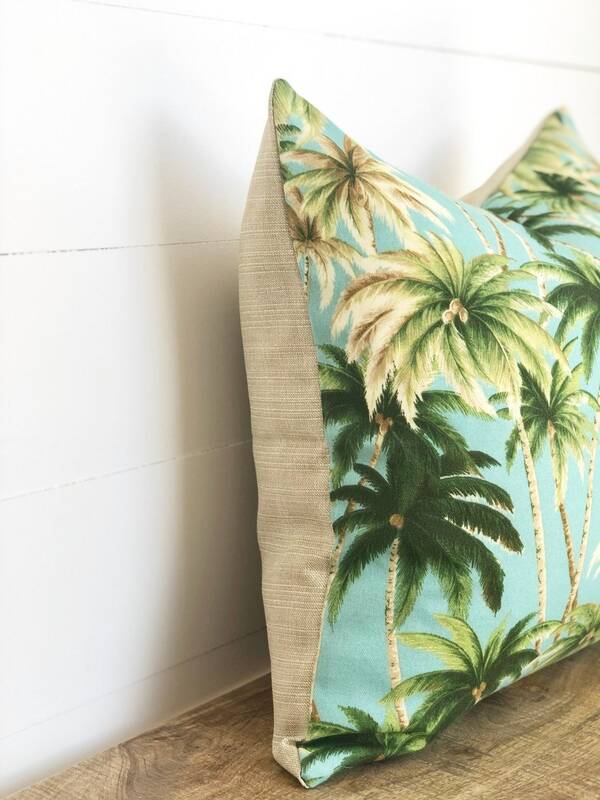 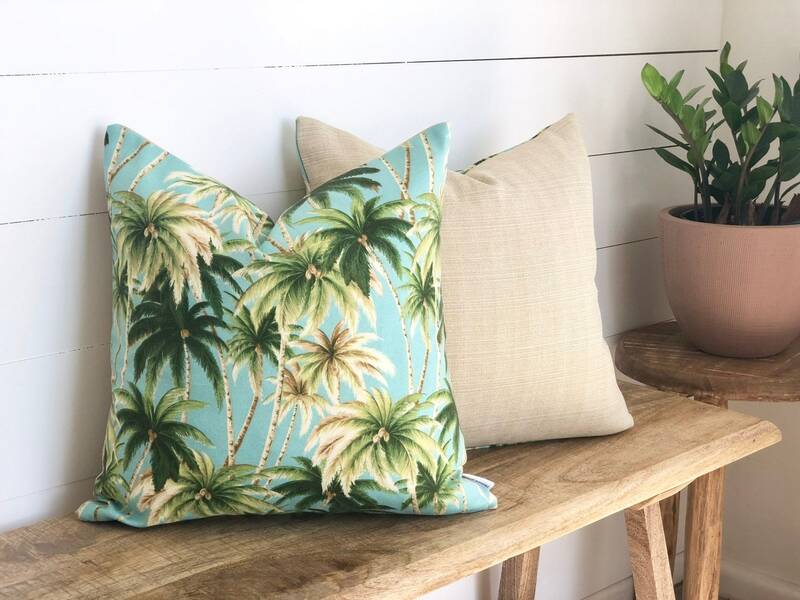 Pair this cushion with warm neutrals for these cushions to be the stand out piece, pair to with tropical palm prints to emphasise the tropical bungalow vibe or pair it with bright pinks or corals for a contrasting colour. 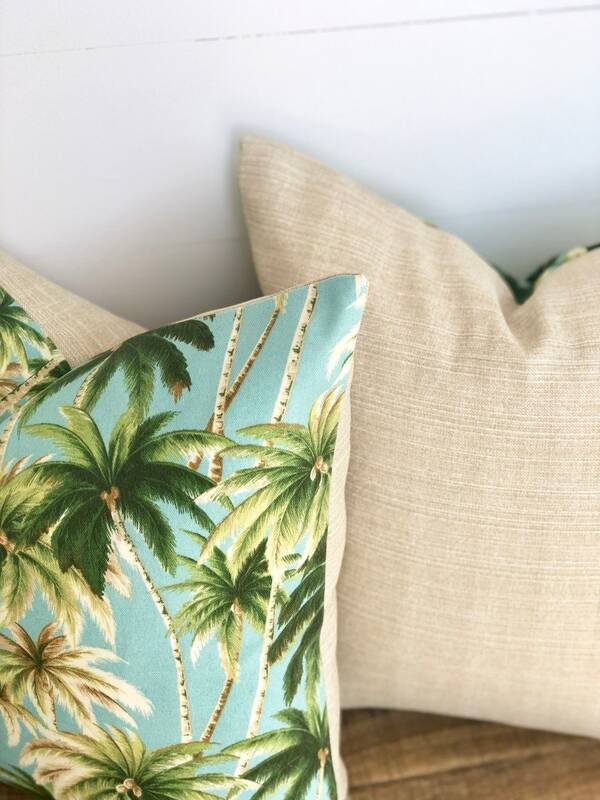 Although some of our gorgeous cushion fabrics are made by Designers, such as these fabrics by Tommy Bahama, all of our cushions are HANDMADE by restore grace.